Our Approach | Full Circle Home Care Inc.
1. We offer a complimentary, one hour, in person consultation to assess your specific needs. 2. We will prepare a plan with custom solutions tailored to you and your one-of-a-kind challenges and you can pick and choose solutions that you feel work best for you. you time and money) and provide you with easy to find ongoing information, clients come to us at varying stages of being financially organized. We will work with what you have and over time; improve the documentation of your financial affairs. have someone as caring and trustworthy as their daughter nearby. Also, sometimes the family is too overwhelmed with their own lives and unable to assist. This is the purpose of a Daily Money Manager (DMM). At Full Circle Home Care, we aim to provide my clients with the highest quality assistance possible. We pride ourselves on providing individual attention and getting to know our client’s needs. We take the time to answer questions and explain matters in clear, concise terms. Not Sure the Best Way to Handle Your Loved One’s Finances? Most people say they would have done it differently had they known all the options…What Are the Benefits of Using a Third Party to Manage Financial Obligations? Research shows that on average using a third- party bill pay service to manage financial obligations saves a several hours per month. Each month you will receive a report of the bills paid for you during the month and those coming due. The year- end report will make tax time a breeze. 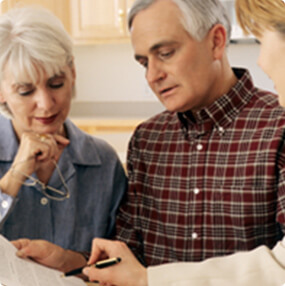 More than 60% of seniors will be a victim of identity theft or fraud before they pass. Using a third party minimizes your risk. A reputable third-party does not require social security numbers, credit checks, or a power of attorney. It’s easy to make changes anytime. With an objective third party handling financial obligations and providing reports to interested parties monthly, there are no more family conflicts around this topic. Questions? We’d love to hear from you — Simply call and we’ll be happy to answer any questions you have.